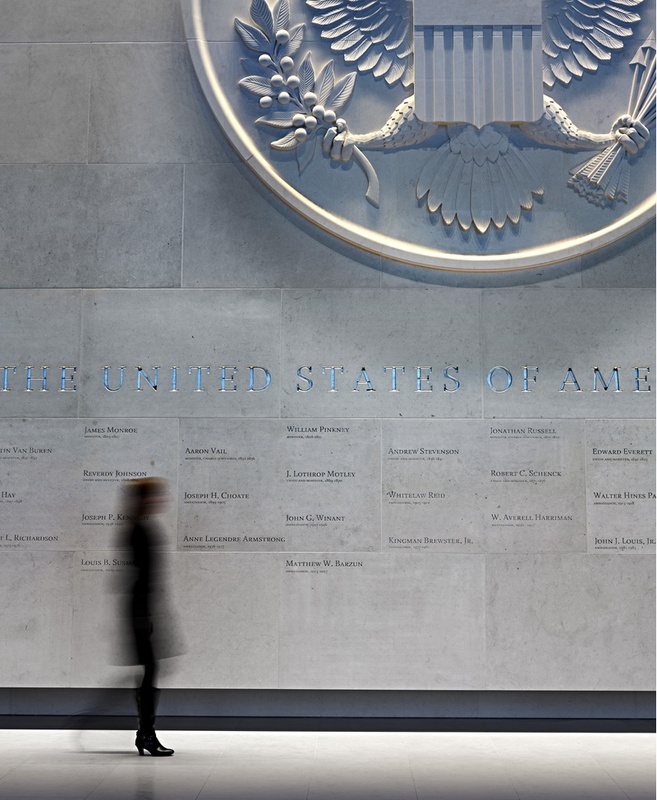 Final touches at the U.S. Embassy in London, including signage and graphics done by C&G Partners, are being installed as part of an on-going process to relocate State Department operations in their new Battersea headquarters. Congratulations to the extensive team: Kieran Timberlake architects, landscape architects Olin, and others. Featured below is a CNC milled and hand carved seal as well as listing of Ministers and Ambassadors that anchors the reception lobby. Stay tuned for more photographs featuring our interior and exterior signage and wayfinding program.